Lan Esthetics is owned and operated by Lan Tran, a certified Esthetician and registered Massage Practitioner. 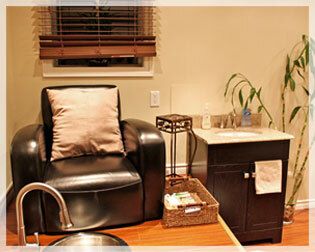 At Lan Esthetics, only stainless steel implements are used for nail services for complete client care and safety. Also, a stainless steel sink without jets is used for pedicure services to allow for complete sterilization between clients. All other esthetic instruments are sterilized with a hospital grade sterilizer. Lan Esthetics was inspected and certified by Ottawa Public Health.